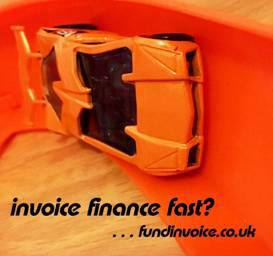 Sometimes new customers need to get invoice finance fast, as quick as possible. In some cases speed is not the key priority, but we aim to provide a very fast turnaround in case you need it. Yesterday, was a great example of the speed of service that we can provide. We received the first enquiry of the new year, a company looking for selective invoice finance against some substantial invoices. The enquiry was received just before office closing hours yesterday, within half an hour we had contacted the prospect, to clarify exactly what they were looking for, and within an hour of other offices closing, we had passed the prospect's details to two selective invoice finance companies that should be able to help him. The prospect told us that he had already contacted another, well known invoice finance brokerage, and a well known selective invoice finance provider directly, via the internet. However, when FundInvoice spoke to him, he had not received a reply for either the other brokerage or the provider. Even where a quick response is not necessarily a client's top priority, it can help you stand out from the competition. If you need a quick response, please get in touch or call Sean on 03330 113622.